Bust a move at a block party, pop into a pop-up, sip on a cocktail, or make some big bids — and do it all for a good cause. 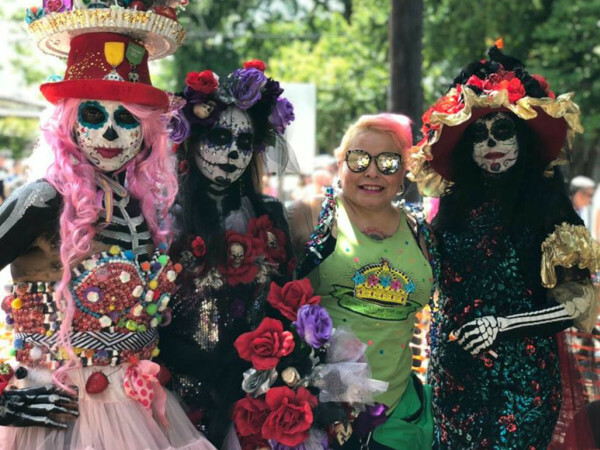 This spring, Austin businesses and nonprofits are making the most of the season with events benefitting everything from girls empowerment to fighting homelessness. These 15 must-attend charitable events offer plenty of opportunities to have fun and make a difference at the same time. Find even more ways to party with a purpose in our charity events calendar, part of CultureMap's Charity Guide, highlighting organizations that make our communities a better place. There's actually a three-party collaboration happening here. Texas Honey Ham's bringing the free food, Independence Brewery's got the complimentary drinks, and Birds is setting up a braid bar at this weekend event. Partygoers also can enter a "Best Besties" pageant and a raffle to win a year's supply of free haircuts and gift card from Texas Honey Ham, benefiting Foster Angels of Central Texas. Also, the Westlake High School choir is expected to perform, and the Westlake Chamber of Commerce will introduce the winners of the 2018 Westies, the organization's annual awards honoring exceptional businesses, nonprofits, educators, and citizens. If you're feeling really competitive, get to the party early and be among the first 50 attendees to win a "special treat." The event starts at 3 pm. Texas Honey Ham Company, 3736 Bee Cave Rd., Ste. 6A. This party will give guests a lot of reasons to grin. The Celebration of Smiles Gala celebrates the work of the Capital Area Dental Foundation, volunteers, and benefactors who help Central Texans in need afford dental work. The gala includes music, dinner, and first-hand stories of some of the thousands of lives transformed by new smiles. The event starts at 6 pm, and tickets range in price from $150 to $2,000. Hyatt Regency Downtown Austin, 208 Barton Springs Rd. This shindig promises live music, food, and cocktails all benefiting the Austin campus of Texans Can Academy, which serves high school students who've struggled in traditional classrooms. Party starts at 6 pm, and includes bites from Sway and Fresa's, as well as sips from Tito’s Handmade Vodka, Tequila 512, Hi Sign Brewing, Lewis Wines, and Nine Banded Whiskey. Tickets cost $45. The Criquet Clubhouse, 1603 S. 1st St. This charity gala and auction will support the fight to end homelessness in Austin. Back on My Feet helps members of the homeless community get back on their feet—literally — with a weekly running program, as well as housing, education, and employment resources. The gala begins at 6:30 pm, and tickets start at $125. JW Marriott Austin, 110 E. 2nd St. The work of emerging local artists will be on display at this downtown art pop-up. Guests can meet with artists and sip cocktails at this event benefiting local nonprofit Girls Empowerment Network. The party starts at 6 pm, and tickets costs $35. The Refinery, 612 Brazos St. This event held at the top of the parking garage at Northwestern Mutual's offices benefits Alex’s Lemonade Stand Foundation, which fights to end childhood cancer. A $10 donation covers registration and related activities, and also pays for a T-shirt and sticker. Organizers recommend participants bring cash for "extras and goodies." The event starts at 4:30 pm. Northwestern Mutual, 3700 N. Capital of Texas Hwy. 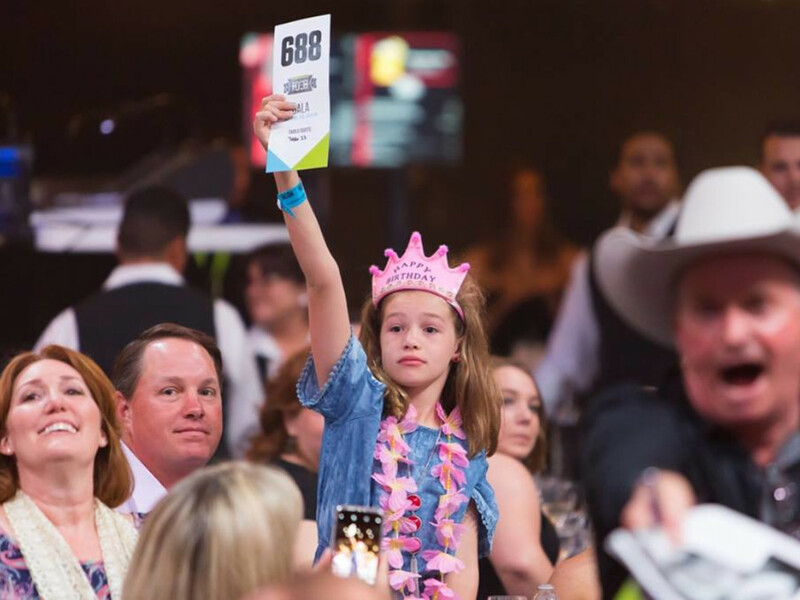 The country music singer-songwriter plays this year's Mack, Jack & McConaughey charity gala, which benefits CureDuchenne, Dell Children’s Medical Center, HeartGift, just keep livin Foundation, and The Rise School of Austin. MJM is the fundraising effort of Texas football coach/legend Mack Brown, country star Jack Ingram, and Academy Award-winning actor Matthew McConaughey, and also includes a golf tournament and fashion show. Doors open at 8 pm, and the show starts at 9 pm. Tickets start at $99. ACL Live, 310 Willie Nelson Blvd. Community members are invited to learn about literacy programs working toward the goal of having at least 20 books in each Central Texas home with children 12 and younger by 2020. NPR's Two Guys on Your Head will headline the luncheon. The event starts at noon, and tickets are priced at $150. Renaissance Austin Hotel, 9721 Arboretum Blvd. This unique event requires fundraising before the party begins. The dinosaur-themed, two-day Bowl for Kids 2019 supports children in need of mentors. Teams of six must qualify for the event by raising at least $750 and signing up for a two-hour time slot on Friday or Saturday. Participants can bowl Friday afternoon and evening, and all day Saturday. Highland Lanes, 8909 Burnet Rd. This walk serves as a fundraiser and an opportunity to raise awareness of polycystic kidney disease. The event includes breakfast and a prize drawing. Participants also can have a blood pressure screening, become a registered organ donor, and receive more information about polycystic kidney disease. Admission is free, but donations to a walker, team, or event as a whole are welcome. Event begins at 9:30 am. Veteran's Memorial Park, 2525 W. New Hope Dr. This Austin Community Foundation event benefits the Hispanic Impact Fund, which supports the economic security of Hispanics in Central Texas. The Somos Austin 2019 itinerary includes a cocktail hour, dinner, and The Latino Monologues, a collection of performances by Central Texas' Latino leaders. Stick around after for a special after party. Event starts at 5:30 pm, and tickets start at $150. Austin Film Society Cinema, 6259 Middle Fiskville Rd. Support this Austin nonprofit during a special concert from Shinyribs and Charley Crockett, an exclusive dinner, and auction. Any Baby Can helps parents and children with family support services, health care and resource management, and more. The reception starts at 6 pm, and the concert follows at 8:45 pm. ACL Live, 310 Willie Nelson Blvd. Diane Land, wife of Austin Mayor Steve Adler, will talk about expanding "opportunities for young people to learn, thrive, and succeed." Also expected to speak are students from the Andy Roddick Foundation and their mentors. Guests can enjoy a brunch, cocktail reception, an auction, and live music. Actress Brooklyn Decker and Anna Dukes Delic will host the affair, which begins at 10 am. Tickets start at $125. Hilton Austin, 500 E. 4th St.
Big Medium's annual West Austin Studio Tour (WEST) kicks off its annual self-guided tour through artists' studios in West Austin. The boundaries are west of I-35, east of Mopac, south of 183, and north of William Cannon. Visitors can pick up a WEST catalogue, which features the official list of artists' spaces and businesses that support Big Medium; listen to music, and enjoy food and drinks. For information on pricing and locations to pick up a catalog, visit Big Medium's website. Austin Community College Highland Campus, 6101 Highland Campus Dr. This weekend festival boasts a wide variety of food and music events benefiting the SAFE Alliance, which supports survivors of child abuse, sexual assault, exploitation, and domestic violence. The festival, which was co-founded by James Beard Award winner Aaron Franklin, features some of the region's hottest chefs. Tickets for the whole shebang costs $500. Single-event ticket prices vary. The Mohawk, 912 Red River St.